Hitting at the same time as Nintendo President Satoru Iwata's keynote speech at GDC, a new system update is available for the Nintendo Wi that adds an SD card menu option to the Wii menu. 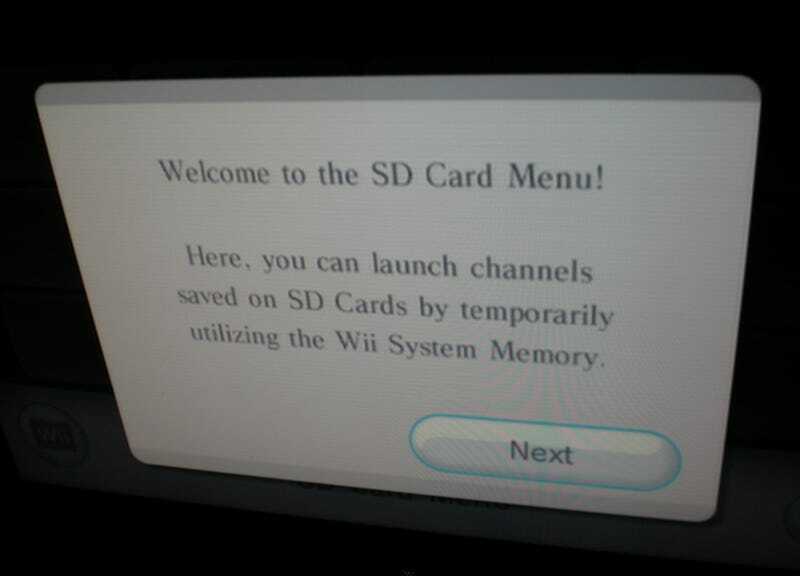 Clicking on the SD card icon brings up a message telling users that they can launch channels from an SD storage card by temporarily utilizing the Wii system memory. It then warns that save games should be moved to Wii system memory before launching games. Speaking at Nintendo's keynote at GDC, Nintendo's Bill Trinnen explains that users can now download directly from the Wii Shop Channel to an SD card, launching the games directly from the card. The SD card menu features 20 screens of 12 channels a piece, meaning with the right sized card you can expect to stroe up to 240 games. As of update 4.0, SD cards of up to 32GB are now supported. It certainly looks like this is the answer to Wii owners' storage woes. What are you waiting for? Run to your Wii and give it a try!